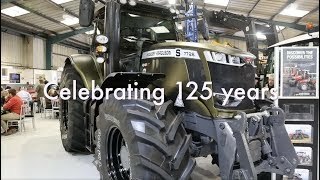 A late 2018 open day at Claas main dealer Manns Market Harborough depot provided an opportunity for new and existing customers to meet the team and find out about all the latest machinery on offer. David Williams was there. The Manns Market Harborough team is pictured at the start of the open day. (l-r) field sales manager Matthew McIver; branch manager Stephen Hiller; foreman Martyn Crookes; apprentice Sam Carter; engineer Daniel O’Connell; parts Philip Scott; apprentice Jonathan Randon; engineer Neil Herward; Horsch UK’s Ben Harrison; service yardman Harry Bland, Manns used machinery manager Alastair McCullum; administrator Tina Brown, field sales manager Colin Hynard and service manager Daniel Marlow. The Manns sales team has had several new additions and role changes during 2018, including a new branch manager at Market Harborough with Stephen Hiller now in charge. Field sales manager for Northants and part of east Warwickshire, Colin Hynard, joined in August and field sales manager for Leicestershire and Rutland, Matt McIver started his new role in September following his move from the dealer’s workshops as an engineer having originally joined as an apprentice six years before. Manns used machinery manager Alastair McCallum was also at the open day, having changed roles from Claas UK product manager for tractors during the autumn. “Our open day was well supported,” said Stephen. 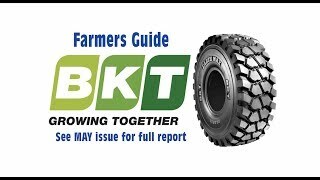 “Visitors attended from at least 27 farms and agricultural businesses across our trading area and it was a great opportunity for us to chat and find out their plans for the future and identify ways we can help their businesses. “We have a bigger than ever tractor range with a wide choice of specification, and the brand’s growing reputation is reflected in demand for used machines just as much as the latest models,” explained Alastair. “Our used machinery trade is buoyant generally, including for second-hand combines from the largest Lexion to smaller Tucanos. Taking on the Horsch franchise has proved very successful and availability of used cultivation equipment, drills and sprayers is improving and, with green harvest products to offer too, our range is more appealing with something for all sizes of farms and times of the year. The Manns Market Harborough sales team (l-r) Stephen Hiller, Alastair McCallum, Matt McIver and Colin Hynard.